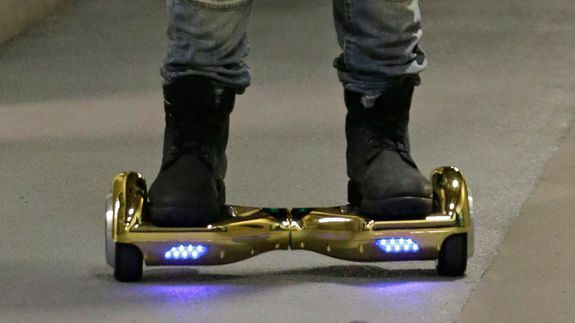 California cracks down on hoverboards with new safety restrictions - trendistic.com: ever tried. ever failed. no matter. try again. fail again. fail better. California is imposing new safety restrictions on “hoverboards,” the (literally) hottest tech toy of the season. The new law, which went into effect Jan. 1, requires those riding one of the devices on public roadways to stick to roads with speed limits of 35 miles per hour or less, wear a helmet, stay in the bike lane and not to go faster than 15 miles per hour. No one under 16 may use the boards on public roadways.